Our core values are to provide our customers with the highest quality diamond tools at competitive pricing, while assuring our clients of service second to none, without compromise. CDTA procures its products from partners with automated manufacturing centres overseas. Manufacturing plants of this nature enables our customers to be supported by volume suppliers with new, unique and exciting products to maximise your dollar further. All CDTA diamond tools are manufactured strictly according to formulas which are tried and proven by customers in Australia and Overseas. The base products of Matrix Powders, Diamond Grit and Steel Cores are all accompanied by the best quality control available in the market place. 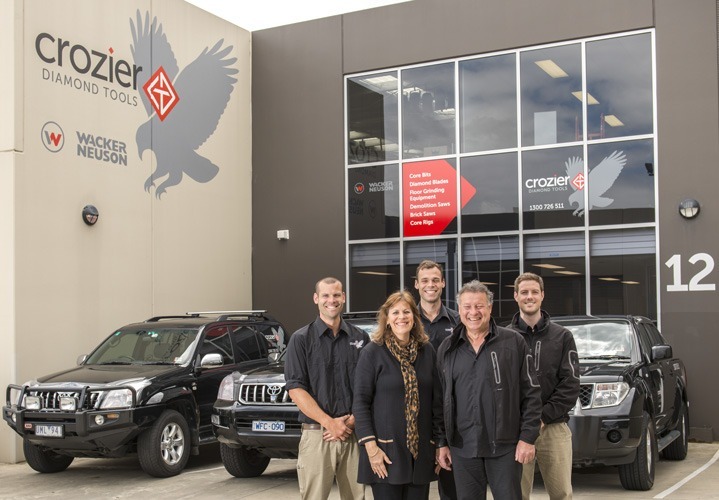 Crozier Diamond Tools have an extensive range of diamond tools, machinery and accessories to compliment you the operator. Catering for a wide range of applications covering all sawing, drilling or grinding projects you may undertake. Give us a try and enjoy the difference!